The first part of this session will feature a panel comprised of well-established and up-and-coming water resources systems analysis researchers. Each panel member will reflect on their and others’ past successes in the area of coupling human and nature system components. Panelists will also identify some of the future challenges that await the field in the years and decades ahead. In the second part of the session, the moderator will facilitate a discussion between the panel members and audience to prioritize the challenges the systems analysis community should consider and address in future coupled human-natural systems work. > How can communities collaborate via web-based technologies to plan and design conservation practices or green stormwater practices on their landscape? > How can high performance computing and optimization algorithms be used to design short term and long term watershed adaptation alternatives, for communities combatting flooding, droughts, and/or water quality impacts due to changing climate and anthropogenic drivers? > How can observations from different types of sensors (e.g., in-situ instruments, satellites, and unmanned aerial systems (UASs), etc.) be used to improve data assimilation in water quality models? > What types of data-driven, machine learning models are useful for simulating complex water systems when we don't know the exact mechanistic process in the system? 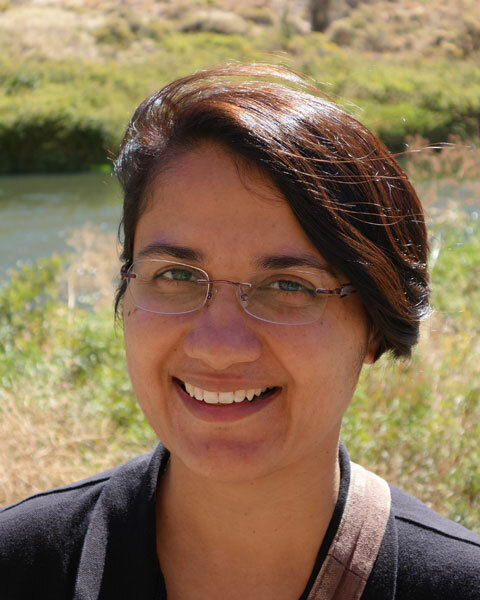 Bio: Dr. Meghna Babbar-Sebens conducts interdisciplinary, computational research in the field of Hydroinformatics to develop innovative and effective solutions for sustainable planning and management of water-based systems. Her research investigates innovations in a wide variety of Hydroinformatics approaches, including computational modeling of complex water-based systems, multi-objective optimization, interactive optimization, noisy optimization, evolutionary computing, multi-agent models, Markov decision processes, neural networks, human-computer interaction, data assimilation, high performance computing, etc. These innovations help solve a variety of problems, such as: > How can communities collaborate via web-based technologies to plan and design conservation practices or green stormwater practices on their landscape? > How can high performance computing and optimization algorithms be used to design short term and long term watershed adaptation alternatives, for communities combatting flooding, droughts, and/or water quality impacts due to changing climate and anthropogenic drivers? > How can observations from different types of sensors (e.g., in-situ instruments, satellites, and unmanned aerial systems (UASs), etc.) be used to improve data assimilation in water quality models? > What types of data-driven, machine learning models are useful for simulating complex water systems when we don't know the exact mechanistic process in the system?